I know that in my last update I had said that I had given up on the challenge due to a lack of pantry items however after some consideration I decided that I could do at least another week however I would need to pick up a few pantry items (4 cans of beans and 2 cans of tomatoes). Yesterday breakfast was leftover quinoa chili I just couldn’t wait until lunch to eat it. For lunch I had noodles with chickpeas, earth balance and curry powder, simple but yummy. 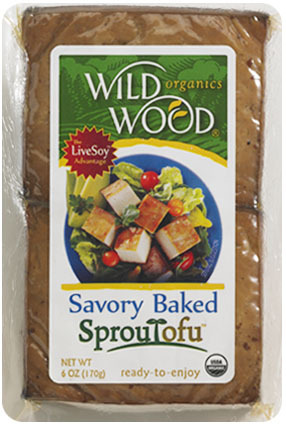 For dinner I used my sample of Wildwood Organics Sprout Baked Tofu – savory flavored. I threw 3 shallots, 2 cloves of garlic and the tofu into the food processor and pulsed to break it up. I threw it in a pan with some vegetable broth and toasted in some nooch, paprika and chili powder. I added a frozen mix of corn, onions, peppers and black beans and 2 handfuls of spinach. I had some Ezekiel bread left in the freezer and toasted it up to have with our scramble- unfortunately I didn’t photograph any of this. I’m going to do a mini giveaway- I have a bunch of coupons for free Cedar’s products including hummus, salsa and their new creamy hummus- If you would like a chance to win, leave me a comment by 8pm on January 21st.